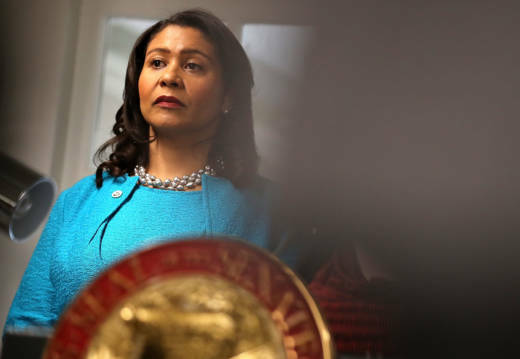 San Francisco Mayor London Breed is asking Gov. Jerry Brown to commute the prison sentence of her brother, who has spent almost two decades in prison. Breed’s older brother, Napoleon Brown, 46, has served nearly 20 years of his 44-year sentence in state prison for pushing Lenties White, 25 at the time, from a getaway car on the Golden Gate Bridge, after a robbery in 2000. After being pushed, White was struck by an oncoming car and died of her injuries. Brown was convicted of manslaughter. In a recent letter to the governor, dated Oct. 23, Breed asked for leniency and said her brother is, "committed to turning his life around." This is the third time she has written a letter to the governor about her brother's case, but the first time as mayor. The news of the letter was first reported Tuesday night by NBC Bay Area. The letter raises questions about the political ethics of a sitting mayor advocating special treatment for their family members. Levinson says there was information that was not included in Breed’s letter that should have been, such as the fact that Breed was her brother’s alibi and testified on his behalf and that Brown was found with heroin in his possession while in prison. “I think it’s her duty to provide all the pertinent facts,” says Levinson. Breed says a lot of African-American men from her San Francisco neighborhood, the Western Addition, are in prison and negatively impacted by the criminal justice system. The letter stresses the importance of rehabilitation and restorative justice, and Breed says it is consistent with her stated positions on criminal justice reform. She says she has written many commutation letters over the years. Brown has issued more than 1,200 pardons and commutations in his last two terms — far more than his recent predecessors. His office has declined to comment on ongoing commutation requests. Levinson says it's important to be critical of elected officials asking for special favors.